The devastating Yobe school massacre in Nigeria leave 42 people dead. That brutal killings made all schools in the area to shut down as the Yobe state officials ordered, according to report by The Examiner site. 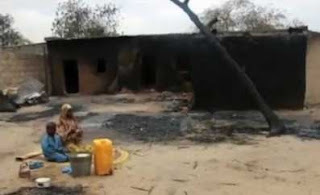 According to report, "the Yobe school killings were carried out by Islamic extremists and the attack could possibly be a reprisal for the recent killings of 22 Boko Haram members during a military raid in the town of Dogon Kuka." Yobe Governor Ibrahim Geidam has ordered to closed all schools until September so authorities can investigate better to protect all students and teachers. According to Police, the massacre happened around 5 am, and all the victims were sleeping when the attacks start. Comments or suggestions about "Yobe school killings of 42 people in Nigeria" is important to us, you may share it by using the comment box below.